When it comes to comfort food, anything which involves cooking with egg is my comfort food. 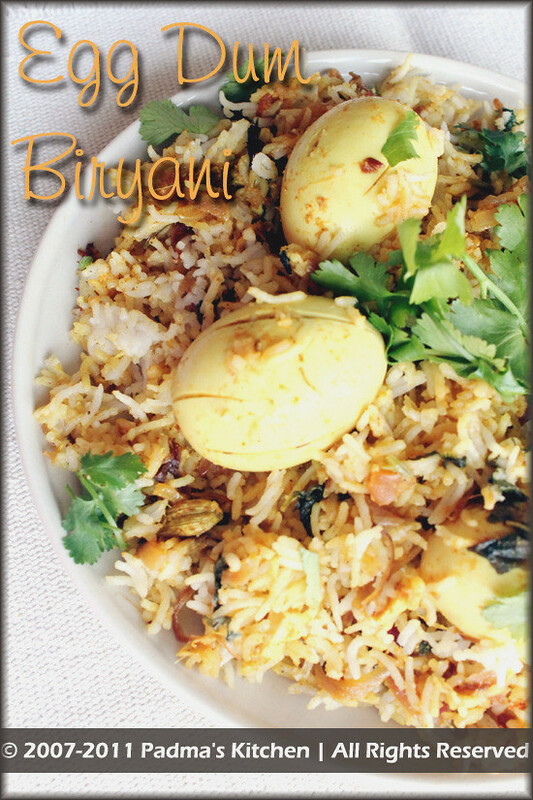 Egg Dum Biryani is one of the easy recipe when we are out of chicken in our freezer and easy to cook on late sunday afternoons. This recipe was sitting in my post without publishing for a long time now, I needed a little push and some time out of facebook. I have been procrastinating for some reason or other, so better late than never as this recipe deserves a standing ovation..
DH says this is one of his favorite dum biryani and so it is!! And moreover it doesn't need any gravy to accompany as the eggs in it replaces the meat/chicken/veggie needs. We fall in love with this biryani every time I make it!! Boil Eggs, peel and make some slits on it or poke it with a fork or a knife. For cooking rice: Rinse 3 cups of basmati rice and soak for 10 mins in 6 cups of water. The ratio for cooking basmati rice in an electric rice cooker is 1:1½ cup water. Put all the dry spices under 'cooking for rice' in a muslin cloth (cheese cloth) and tie a knot and place along with rice in the cooker. Add 1 tsp of salt and 1 tablespoon of ghee and cook. Once cooked throw away the spices and fluff the cooked rice with a fork. This way the rice will not break and now you can smell aroma of spices in the rice steam. Meanwhile heat 4 tablespoons of canola oil in a wide open pan. Fry sliced onions until they turn light pink or kind of translucent. To this add roughly chopped mint leaves, green chillies, chopped tomato and fry for 30 secs, then add ginger garlic paste, garam masala, biryani masala and fry for another minute. Add boiled eggs and saute till the spices are well coated on the eggs. Then add beaten yogurt and saute until oil separates. Lastly add lime/lemon juice and turn of the heat. Heat 2 tablespoons of milk for 15 secs in microwave and add saffron to it. If you don't have saffron, you can add orange/red food color to the milk and mix well. Take a big stock pot (6 quart or so) with a lid. Add half of the egg mixture to it and spread half of the cooked rice on top of it. Sprinkle some chopped cilantro, fried onions and saffron milk. Repeat this with the remaining rice and egg mixture, the top most layer should be rice.Cover the pan with a well fitted lid. Sprinkle with the leftover cilantro, saffron milk and fried onions. Cook it on low flame/heat for 15-20 mins. You can do this in oven too, by layering the rice and egg mixture in an oven proof dish, cover with a lid or aluminum foil and let it bake for 20 mins at 350°F[175°C] or until done. 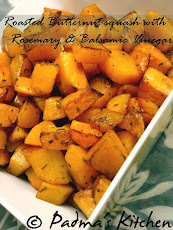 Serve with your favorite Raita or yogurt and cucumber salad. 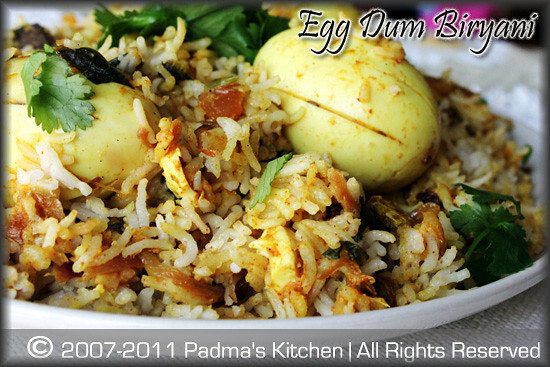 You can substitute eggs with any vegetables of your choice to make this as Vegetable Dum Biryani. Veggies that can be used are Cauliflower, Green beans, carrots, Soya chunks, green peas, paneer and so on. You can use nuts like almonds or cashew nuts. For every 1 cup of rice use ¼cup of beaten yogurt.